The snippet is one of your most valuable pieces of online real estate. This is the doorway to your site, and you should make it as enticing as possible. You need people to click your link — without misleading them, of course. 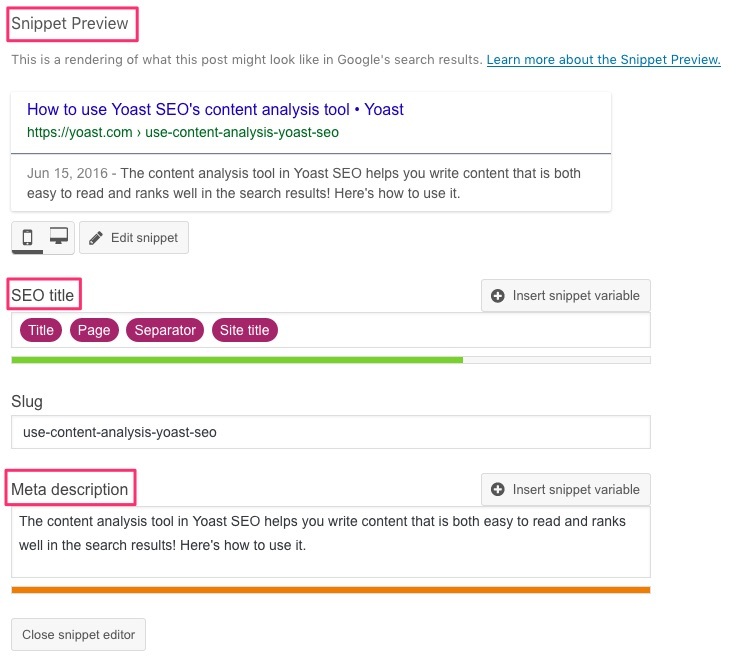 While search engines have the last say in how these snippets appear, you can give them options. If they deem these worthy, they’ll use it. 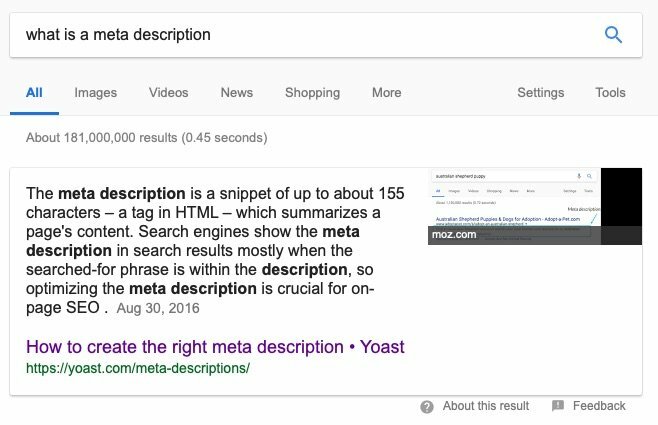 Even Googles John Mueller says you should fill out your meta description. For some time now, we’ve seen rich results appear in different forms. Rich snippetsare regular snippets with added information, like product details, availability, reviews and a lot more. Here’s a rich snippet for the search term [Fender Standard Precision Bass sunburst]. You’ll notice that this snippet is much ‘richer’ so to say. It has ratings, review, pricing, stock availability and some product highlights. This is a specific product rich snippets, but there are similar snippets for recipes, reviews, videos, events, courses and much more. Adding structured data is a necessity for some types of these rich results.